14/04/2019: We visited with friends again and had a great Sunday lunch. Service and setting and food all top notch. We will return I really like a clock in the shop maybe come back for my birthday with some money to buy it with. 12/04/2019: We ate here last night. What a lovely evening, fantastic atmosphere, great surroundings with quirky design features around every corner. Don't miss out on visiting the shop filled with lovely gift ideas. Let's not get carried away most importantly, the food and drinks were excellant, served by friendly engaged staff with smiles on their faces. We will definately be back and will recommend to family and friends. Don't delay, go and see for yourselves, you will not be disappointed. 17/04/2019: We were really impressed with the menu offering and the quality of the food. Staff very friendly and efficient. Thank you. We’ll definitely be back, as it’s a perfect half way meeting point. 09/04/2019: Visited here for an impromptu en route lunch stop. Pleased to find an extensive menu catering for our varied needs, teenagers, vegetarian and dog owners. Full menu is available in the bar area where you can take your dog. They even cooked a single sausage to order for Maisie, which she thoroughly enjoyed! Good beer too. Can recommend the Swift One! 15/04/2019: This is a small local bakery and I couldn't recommend it enough. The staff are friendly and helpful and the goods they sell are just delicious. Everything from breads, to cakes, sandwiches, pizza and cheese straws but made to the very highest quality! 30/03/2019: Came across the bakery when wandering what to have as an early lunch after a walk. Such amazing food! 14/04/2019: Came here today for Sunday Lunch- having heard a lot about it. Super --- friendly welcome, service - delicious lunch, very reasonable price - will definitely return. 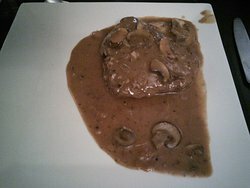 14/04/2019: Wow, what a meal! The meal was cooked fresh from our order being taken, well worth the wait. Service was good. The location was a bit out in the sticks, but very pleased we found it. 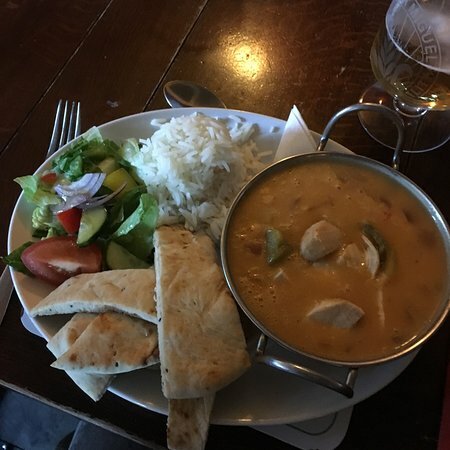 18/04/2019: Great choice of vegetarian & vegan food & fantastic service from happy, friendly, smiling staff. Good sized portions & great value for money. Lovely warm scones. 14/04/2019: I really like this place. 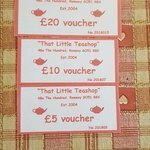 A local tea shop in an ever expanding town such as Romsey deserves to thrive but customers can be difficult to come by when the chains are closing in just down the road...but that is the difference here - you get SERVICE which makes a great change! Will keep coming back for the good food and nice tea. 08/04/2019: Generally disappointing, especially the service from Georgio, whom I had to speak to about his general lack of communication skills and disinterest in customers. We arrived to be informed that our Premium double/twin room had been swapped for the family room (for no extra charge apparently). My pal is now sleeping on a sofa-bed. It doesn’t look very comfortable. The toilet basin was stained; which to their credit was cleaned after it was mentioned. Now settling down to discover there’s no remote control for the TV. On a positive note nice meal in the bar. Excellent waitress. 02/04/2019: This is a lovely spot and worked well for us - meeting friends half way between where we live and they live. In a nice village with a green in front which leads to a splashy stream. Good staff and very nice ambiance. The food was good too! I had salt cod fritters and a cauliflower tagine with courgette fritters - all very tasty and a good size if you are reasonably hungry. Apparently the duck was very good and the fish and chips. All in all a great find. 13/04/2019: We really enjoyed the food, starter platters to share followed by various curry dishes with rice. Service was a little slow at times however we could’ve called over to the waitresses if needed and it was nice not to be rushed. Would recommend lovely Thai food. 05/04/2019: this is a family favourite and each time we come here we know exactly what we want to eat from the previous occassion! 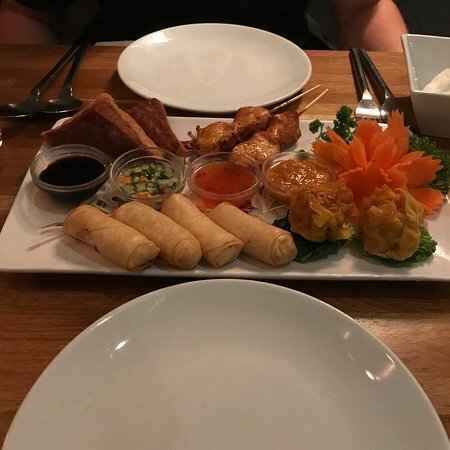 the shared platter starter for 2 is a special treat, with a little of everything. for main, everything is delicious! this time I had the giant prawns in a tasty red curry and coconut milk. my family had different chicken or prawn dishes, and as usual everything was well served and fabulous. the staff are both friendly and professional. must reserve at the weekend... or take away as the restaurant is always full! 18/04/2019: 2 couples travelled for over an hour each to meet “midway” at this well regarded but new to us pub. . We were allocated a pleasant table in the restaurant but as we were early asked if we could have coffee at an attractive window table in the bar, which had a Reserved notice on it. The table booking was found to be for an hour later so our coffee was brought to our “temporary “ table. When our friends arrived we ordered ciders and beers from a good selection on pump. (Including Otter, Ringwood Best and a local seasonal brew called Summer Lightening as well as Ashton Press cider) The menus were offered and 3 of us chose the Grouse Three ways. An excellent choice. When we went to move to our table in the Restaurant we found it was in the middle of the room. As two of our number have hearing difficulties we asked if a corner table could be found. No problem once more - a five setting corner table was re-laid for 4. The young waitresses could not have been more helpful and accommodating. 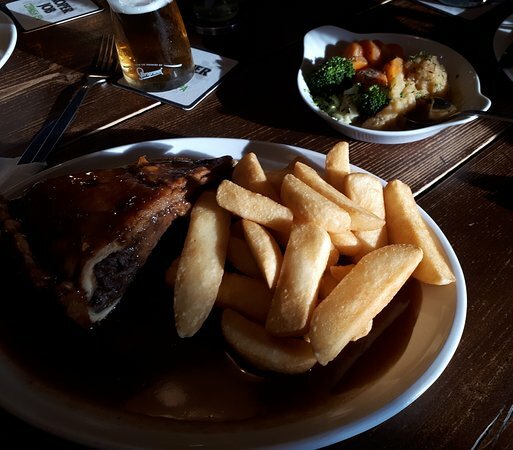 15/04/2019: I arrived at the pub early evening with my family. We did not have a booking but where given a warm welcome and lead to our table. 18/04/2019: My friend and I once again enjoyed a very tasty meal -well cooked and served My sea bass was delicious . 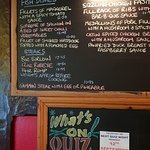 14/02/2019: The pub that wasn’t going to do anything special laid on an outstanding special menu!! 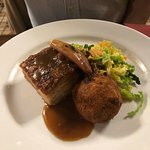 As ever good food and attentive service, rapidly becoming my favourite pub for drinking and dining. 17/04/2019: We were a party of 22 and this was a very memorable occasion. Excellent from start to finish. Daverio and all his staff to be congratulated on a wonderful lunch. Delicious food, professionally served by well-trained friendly staff. Everyone who joined us was very, very impressed. Thank you so much. We will be back very soon! Grazie Mille. 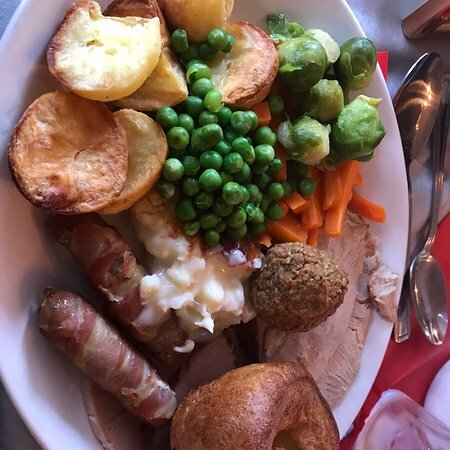 15/04/2019: This is the second visit with friends and both times absolutely delicious food, the Sunday roast is outstanding and good value, can't wait to return! Devario is so genuinely welcoming with excellent staff. 28/11/2018: Popped in here after our time was up in Paws for Thoughts (see seperate review) and treated myself and my friend to a further coffee. The place has a cool laid back vibe and the owner was lovely and happy to chat to us. Id like to return to sample some of the cakes and maybe try a different hot drink as vegan options are available. I will definetly come back next time in Romsey. 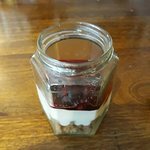 16/09/2018: Sundae's Child is a small café on the market square in Romsey. It is staffed by a group of young girls who couldn't be more helpful. There is a constant stream of customers coming in to buy their speciality ice creams. We ordered cakes and scones for tea. I was expecting the staff at the counter to just put them on a plate and hand them to us but no, they took them away and then brought all laid out like immaculately presented like a proper cream tea. It's cheap too. 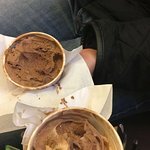 They had run out of cream so the manager went out to a local shop to buy some fresh cream. The only down side is that there are only a few tables and there was a wasp buzzing around. 13/04/2019: My family and I are regulars here because of the chilled atmosphere, good food and amazing service. Even when it’s crowded you are still guaranteed to be well taken care of. The few times something hasn’t been quite right it was managed quickly and with a smile which, for me, makes all the difference when I patronise an establishement. 14/03/2019: We were passing through and looking for some lunch. Absolutely fantastic thank you, we had 2 for £9.99 and both meals were brilliant. Delivered to us with a smile, the food was hot and fresh. Thoroughly recommended. 13/04/2019: Met an old work colleague who doesn't know the area. She was very impressed with the location; the staff and more importantly the food. 12/04/2019: A happy family outing was soon spoiled by what we thought was a family friendly village pub. Apart from the starter that had half of the mussel shells arrive empty, one of the main meals arrived almost burnt to a crisp. Then, we were made felt very unwelcome with our young children as we were told they were a disturbance. 13/04/2019: A delicious, reasonably priced mid week-dinner. As always served with a smile and accompanied by a well poured pint. 13/04/2019: We had a lovely meal in this popular pub. The food was delicious and served piping hot. 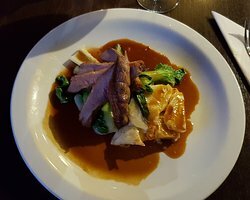 The menu is extensive with plenty of choice to suit everyone's tastes. 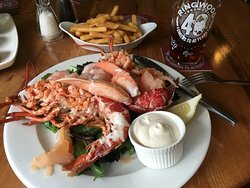 The staff are friendly and attentive and would definitely recommend but be sure to book to avoid disappointment. Look forward going again soon. 13/04/2019: A favourite of mine, friendly, affordable, and with a lovely big garden...and ample parking ....do try it! 31/03/2019: Yet! Again a lovely lunch spent with family for mother’s day ! Service lovely as always.. The atmosphere is lovely and always feel very welcoming when coming in .😁lovely family run pub ..👍love my little gift thank you .